Published by : Dorling Kindersley (India) Pvt. Ltd. licensees of pearson education; (New Delhi) Physical details: xiv, 463 p. : ill. ; 23 cm. ISBN:9780321701787 (pbk. ); 032170178X (pbk.). Subject(s): Adobe Illustrator (Computer file) | Computer graphics. "Adobe Press books are published by Peachpit"--T.p. verso. Getting started -- What's new in Adobe Illustrator CS5 -- A quick tour of Adobe Illustrator CS5 -- Getting to know the work area -- Selecting and aligning -- Creating and editing shapes -- Transforming objects -- Drawing with the pen and pencil tools -- Color and painting -- Working with type -- Working with layers -- Working with perspective drawing -- Blending colors and shapes -- Working with brushes -- Applying effects -- Applying appearance attributes and graphic styles -- Working with symbols -- Combining Illustrator CS5 graphics with other Adobe applications. 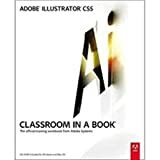 System requirements for CD-ROM: Windows or Mac OS; Adobe Illustrator required to use lessons.